Unique Property – See The One That Got Away? Well It Just Came Back! The acronym TOTGA may seem obscure – The One That Got Away. In our Unique Property Bulletin world this relates to buildings that were the focus of a lot of preparatory purchase effort, but failed to requite that amour de la mortar when it came to success at having an offer accepted. In other words, a property that you fell in love with, but were beaten to the ownership stage by another buyer! The delicious antidote to TOTGA is the amazing properties that sometimes elude us can subsequently return – and with life changing effect. Seriously. Our own experience of TOTGA properties coming back for sale included the oft referenced Strathy Point Lighthouse Compound. Strathy was a TOTGA first time round. We were pipped to the post by another buyer. But they failed to complete. With good fortune, we then succeeded in buying the whole compound. Fifteen years later we still have a strong affection for the place. Indeed some of us here may end up reacquiring one of the lighthouse keepers’ houses, such was the enjoyment in past years. For this edition of Unique Property Bulletin we have another TOTGA – actually several – from all across the UK. The first is Cantick Head Lighthouse Compound on the island of Hoy – just across the mini Scapa Flow causeway to the Walls peninsula. This Orcadian island is also the home of that iconic stack know as The Old Man of Hoy, which is not that far from the Cantick Head Lighthouse (Click Here). An alert reader spotted this unusual structure for auction and emailed it into the Bulletin to share. Thank you to the reader and many like her – it really helps things this end. We do our best to cover the entire country and all price ranges, but some unusual properties still fall off our radar, and it can boost our listings to have eyes and ears on the ground all over the UK. This particular lot is up for auction soon. Two possible uses that sping to mind. The first is to find a vessel to park at the end of the pier and live in this interesting Lovejoy themed part of East Anglia. Depending on the size of vessel, you might need to beef up or renew the dolphin structures. We can certainly think of some fine vessels to live aboard such as one of the Little Ships of Dunkirk. Please note this vessel is an example. The above picture to give an idea of what might sit at the end of the pier serving as your new home. The other possible use for this pier – subject to planning – is as part of a new marina. That is a fairly big project to consider, but one that comes to mind. Especially as the planning authority appear minded to support development that can keep the pier “alive” and working – Click here for some background of other plans. Auctioneer’s Narrative: The chance to purchase this civilian pier formally owned by the Marquess of Cornwallis . Built in 1894 as a landing stage for a ferry from Shotley to Harwich and Felixstowe, Bristol Pier is situated directly opposite the Bristol Arms public house. At the time of writing, Bristol Pier has the benefit of Planning Permission (Babergh application no. B/13/00234/FUL/GD) for the repair and widening of the first 80′ together with the erection of 2 permanent ‘kiosk’ style buildings of approximately 320 sq ft with A1, A3 or A5 usage and linked by a stretched sail canopy over the central pier access, we understand interest has been shown in leasing these for a total of £15,000 per annum. As we have often said here at the Bulletin, it is not the buying of the boat or the ship that may be the biggest issue – it is finding a suitable berth to site the vessel. With Bristol Pier coming up for sale, someone is going to secure themselves a first class place to have a unique adventure. Just imagine living on a delightful little ship at the end of the pier, with folk of like-minds on their boats popping across to have a coffee with you – or perhaps an Uisge beatha – and a nice old chat about the world, life and all things nautical. All the while you may possibly be deriving a very useful income from the pier itself. Especially if the two kiosk idea is something that you go ahead with. Please note we now add “archived” details for future reader research assistance. To ensure details are still available when the original webpage set of information has expired. This diminutive building was formerly a nurses clinic for use by young mothers and newborn babies. It is in a picturesque location and the new owners have an interesting planning permission for redevelopment. The price is almost as tempting as the property. The Bulletin is looking for a permanent home to operate from and this may seem an unlikely candidate, but there is something really nice about the place and location. We were sorely tempted to nip across and have a look, but for now we are just sharing the property with other readers who may well fall in love with the place and plans – not to mention the picturesque views and surroundings. Current planning is for a single dwelling. However, when the owners purchased the property it had permission to create 2 houses – 1 x 2 bed and 1 x 3 bed semis. There remains the possibility of reverting back to these plans if required, subject to permission from the District Council. 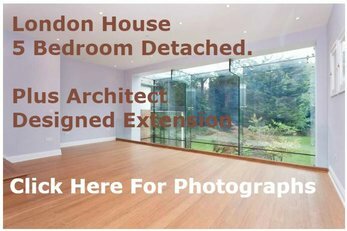 Copies of one or both sets of plans can be emailed upon request. Location: The Old Chapel, New Road, Chatteris, Cambridgeshire, PE16 6BJ. Please Note: We now have “Archive Details” for each property. This is so that, over time, if the original webpage becomes discontinued, Bulletin readers can still study the full content of previous editions. As an example, this is especially important for those who are conducting TOTGA research. Or Perhaps Even Your Own Old School Days? This auction lot contains two buildings. A stonking lump of school extending to around 6,861 square feet to play with. Then literally for playing with, a detached playbarn. A fairly decent external presentation. The building is somewhat enhanced by it being at the Yorkshire Dales National Park. 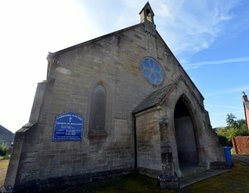 The other parts were formerly Baliol School on the eastern edge of Sedburgh – some 10 miles east of Kendal and 10 miles north east of Kirkby Lonsdale. In total we calculate that over 12,000 square feet of internal building space might just be bought for a little over “11.11 per square foot. Not bad when you think that in some of the nation’s capital cities it can cost over £11 per square foot in RENT. Here ar Baliol you are buying the FREEHOLD for that. Auctioneer’s Description: The site comprises a former single storey classroom block together with a separate playbarn building. The site is considered to have potential for development subject to obtaining the necessary consents. PLEASE NOTE THIS CURRENT LISTING IS NOT TO BE CONFUSED WITH THE MUCH BIGGER SCHOOL LOT: Click Here. Contact: 0844 2 722444 – Pugh Auctioneers. Here is a proper old fashioned blue light that Dixon of Dock Green would be pleased to eulogise under. This former police station comprises an elegant Grade II listed two storey building with double detached garage and small store, on a site of approximately 0.18 acres. Internally the property is configured to provide office space and will therefore require comprehensive refurbishment to convert it to an alternative use. The property provides an excellent opportunity for redevelopment (subject to planning). Another candidate for readers who are looking for a place to live and work. Somewhere capable of housing a home and separately a place from where to run a business. Guide: £POA (we really wish they wouldn’t do that – failing to quote a guide price puts folk off, and this is a publicly owned building that should command the best price obtainable – not subliminally alienate people who might otherwise be interested buyers). We are none to keen on this, but since losing one of our volunteers several months ago, it has been difficult at times to ensure that the a new Bulletin is produced every fortnight. In addition there has been a natural wish to include a decent range of candidate properties, and a fairly comprehensive feature article for each edition. Researching, due diligence, preparation, IT efforts etc., and between 4,000 and 5,000 words a pop are taking a fair amount to put together. Especially given that the whole thing is put online by volunteers: happy ones, but sometimes a little too close to the end-of-retirement stage! We are on the case with regard to recruiting help – a very positive announcement on that soon – but for the next six months or so, we will be temporarily switching to a three week publication frequency. Solent House, Harbour Road, Gosport, Hampshire, PO12 1BG. The old school building pictured above has the potential to go from being a visual ugly duckling and transformed into something quite interesting. Homes in Hampshire command a fair coin, especially harbour homes, and this qualifies on that score: just check out the 360 degree Streetview link below taken at this building’s Harbour Road aspect. It is reasonable to say that this property has considerable potential. Ideally – subject to planning permission – as a place to both live and work. Possibly the upper part as a flatted dwelling, and the lower aspect retained for commercial use. With around 5,000 square feet of space to play with, this may represent a fascinating building – by the harbour – that has been overlooked, probably due to the carbuncle extension on the front reducing any kerbside appeal. Furthermore, this property is an FTSAA (acronyms-are-us this week). That is to say a Failed-To-Sell-At-Auction building. Which as regular readers will know sends us in mild paroxysms of bargain hunting! We reckon the key to unlocking the inner beauty of this old school building is to get rid of the gross, ugly shipping container type addition that ruins the look of the place. Location: Solent House, Harbour Road, Gosport, Hampshire, PO12 1BG. Formerly Clarence Square School. Guide: £200,000. Aye right. Get the haggle head on. Time for some heavy negotiating on sending the price southwards. Harbury Windmill is a Grade II listed building erected in the first decade of the 19th century. This windmill was originally fitted with four sails of about a thirty foot arc of radius. The sails ceased operating before the First World War and were removed in the early 1920s. However, the stocks were not removed until 1934. From 1912 different forms of engines power the mill, the first one being a steam engine followed by an oil engine and from the early 1930s by electricity. At different periods the mill contained two and sometimes three pairs of grinding stones – being of millstone grit or the French burrs. The stones were on the fourth floor. There have been about eight different millers over a period of one hundred and fifty years. Milling ceased in 1952 and after some years thereafter it was used as an engineering workshop. In 1982 a larger looking pitched roof style replaced the prebious boat shaped cap. In 1988 the lower floors became part of a home. We featured Harbury Windmill back in the Bulletin during March 2015. At that time the price was £725,000. This windmill home has now had £75,000 sliced off and is guided at a much lower £650,000. It may well be worth speaking to the owners/agents about how doughy, or flexible this price is. Sambourne House was built in 1800 for Henry Wansey, a prominent local businessman. Henry Wansey had a deep interest in social issues, and wrote about these, along with his travels to such places as America, where he was received by George Washington no less. Samourne House has history in the buildings, and also of the owner. Situated in the village of Tilehurst, Berkshire. The iconic design is set in landscaped level gardens at the rear. The property is a short walk from Tilehurst station, which runs service to London Paddington in under 45 minutes. …fill in the brief form typing the Subject Header with the simple word “ALERT” and we will do the rest 😕 ensuring that a weblink for each new Bulletin is sent for you to enjoy each fortnight. The answer to our previous Unique Property Bulletin competition of September + October 2015 was “Lizard Lifeboat Station at Kilcobben Cove”. Further information on this fascinating place: click here and here. The earlier station of 1885 cost just £300. Another at this location cost just £120. Though that was a fairly substantial amount at that time. 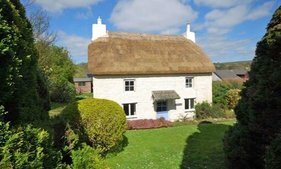 The winner of our Unique Property Bulletin competition for September + October 2015, somewhat unsurprisingly comes from Cornwall. Though we did receive entries as far away as Murmansk on the one side and Seattle on another. Oh the wonders of the internet and modern travel. For November + December 2015, the Unique Property Bulletin competition prize is a modest £20. The winner is the first drawn from our Competition Box at close of competition on 31st December 2015 – or more likely somewhat groggily on 1st or 2nd January 2016! One of the really nice things about George Clarke and the Amazing Spaces television series team is that they share unique properties. It is relevant to let readers know we have some of George’s team on our email alert for new Bulletins and some properties from this website have gone in the direction of Amazing Spaces to be featured. Conversely the two way street means that George’s team share updates back the way. So this edition we can feature one of the properties that was shown on the Amazing Spaces television series which can now be tried out for holiday breaks – and inspiration by readers of the Unique Property Bulletin. Inspiration will be plentiful if you are lucky enough to meet with the dynamic and enthusiastic owner – Scott Evans. If you do visit the Big Sky Retreat, look out for the highly prized skyview dome. Plus there is a nice video of Big Sky Retreat………..
Guide: From £125 per night: equates to £62.50 p.p.p.n. A while back we ran a feature article about TOTGA – an acronym for The One That Got Away. In essence this Bulletin’s feature is to highlight a redeeming feature to those amazing TOTGA properties that slip through your fingers. For example the Jumbo Water Tower pictured above. We did in fact visit the Jumbo water tower in Colchester 20 years ago. Too big at the time. But many years later, along with a couple of changes in ownership and Jumbo is likely to be a TOTGA. More of that in a moment. First, an actual example of a TOTGA that did come right and directly affects the Bulletin (and a number of our readers) is the Strathy Point Lighthouse Compound. At Strathy Lighthouse, first time round we missed out (through a failure in the mailing list at the selling side of things). We only found out via an article in an old copy of Sea Breezes Magazine. By the time we had read the Sea Breezes nautical magazine, the Strathy Lighthouse buildings had been sold to an earlier buyer. Or so everyone thought. The upside of this TOTGA was that Strathy came back around for sale. We managed to buy it soon after the fresh sale details were re-released. The glorious part – other than the splendid location and brilliant buildings? That would be the cool £20,000 shaved off of the original price – so our hearts warmed to that strange acronym of TOTGA. Fast forward 15 years and the same thing has just happened with Cantick Head Lighthouse Compound. It has been a right TOTGA. Now back round for sale again, precisely 1 year and 4 days after the sale that scuppered earlier hopes in that direction, we can advise that Cantick Head Lighthouse buildings are available to buy…..
At the Bulletin, the volunteers assembling this website are big enough and ugly enough to withstand the vicissitudes of a TOTGA. What was upsetting with Cantick Head getting sold a year ago in the way it did, was that one of our Bulletin readers had had their heart set on a building within the Cantick Head lighthouse station. Sadly they didn’t succeed in buying their dream home. So here’s the thing – an alert reader of the Bulletin just emailed in news that the group of three Cantick Head Lighthouse Keepers’ homes have returned back on the sale market. 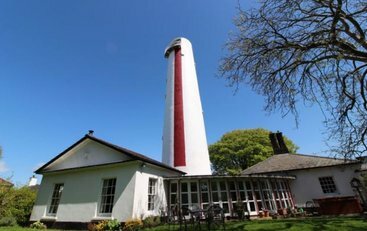 Of course lighthouses are not every one’s cup of tea – though just now our Lighthouses For Sale or Rent website is beating the Unique Property Bulletin for website visitors, so a sizeable body of people evidently have an inclination to live just below the incandescent. Lighthouse buildings aside and back to our TOTGA theme – most importantly how it can help you. There is a possibility that the Jumbo Water Tower in Colchester may well come back up for sale – or at least parts of it. A while back we featured the Jumbo Water Tower that dominates the skyline in that oldest town in England. Jumbo Tower was sold and effectively a TOTGA. Now we have checked back, and it transpired the new owner is looking to transform Jumbo Water Tower into flats. The likely result is that these will then be sold on the open market. Are you following our logic here? Effectively if you like the thought of living in a converted water tower and the Essex location suits, then perhaps it is worthwhile getting hold of the new owner, Mr Paul Flatman Background details: Click Here. On the subject of water towers, another TOTGA was sold for just £2,700 in 2011. It too came back on the sale list for a while, but at £19,000 the owner was perhaps being a little ambitious…. At £19,000 Perhaps Room For A Friendly Haggle On Price! Following a while off the sale list, we have just received an email direct from the owner, Stuart, who has asked if we might include his tower back on the sale market. So this has effectively gone from a TOTGA to an FTSAA (Failed To Sell At Auction) and now is open to offers. Perhaps worth having a chat or email exchange with Stuart. We would be delighted to put you in touch with the owner: Click Here. Knockaird Water Tower: Background Details: Plot Extends to 1,628sq.ft (151.25sq.m approx), housing a disused water tower of concrete construction which could be converted to a variety of uses (subject to consents). The Isle of Lewis is the largest island in the Outer Hebrides. It is a remote and ancient landscape with many artefacts still to be found that remind us that the island has been populated for thousands of years. We have included Admiralty Arch as it is an iconic London landmark and has – contrary to 100 years of received wisdom about not selling off the family jewels – been sold for redevelopment. The most likely outcome for this huge project is as a hotel. Whilst the Bulletin concentrates on the transformation of unusual places into residential homes, there is a significant group of people who live in hotels on a long term basis. The founder of Unique Property Bulletin did it for several months. It was actually less expensive than keeping a flat going. No electricity bills, council taxes, insurance costs, heating, maintenance, etc. Just a single monthly hotel bill, which, if you negotiate well, can be remarkably cost effective. Though from experience, beware of putting on a stone in weight as the beguiling hotel restaurant beckons every night after work. Long term hotel dwellers include the likes of actor Keanu Reeves and inventor/aviator/billionaire Howard Hughes – who went on to buy the hotel that he was staying in. However we digress. The point here is that in many cities across the UK, including London, local authorities and government departments are disposing of very large properties. Some may appear to be tormentingly tasty, and to see them sold when you have either no way of buying, or have just missed the opportunity leaves us with another TOTGA. More frequently than you might imagine, the TOTGA property – especially the huge ones bought by developers – come back up for sale. At least parts of them do, usually flats. This is really the essence of this article. At the head of the page we covered Cantick Head Lighthouse buildings for sale . 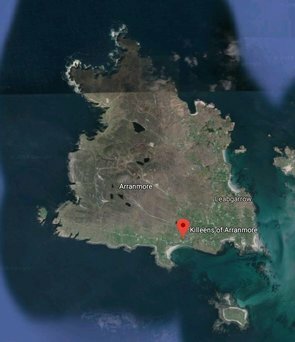 That wonderful set of lighthouse keepers’ homes in such a spectacular location came so close to being owned by a small group of our own intrepid Bulletin readers. We would simply say: never give up. Over a lifetime of writing this journal, so many of the properties featured have come back onto the sale market. Lastly for this piece, we would make a small challenge to our readers. This website has editions – and properties – going back to November 2013 (see the right hand menu column for the extensive list). 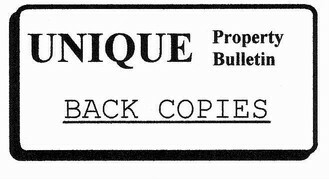 More are archived on our dedicated website Unique Property Bulletin Archive (we’ve yet to put further more 20 years of paper editions online). So with at least 4 years worth of unique properties online, we would ask Bulletin readers to have a fishing trip and see if any older property that really gets your architectural and design tastebuds going, has been sold, only to come back up for sale. There are two parts to the challenge. Firstly finding something that suits you in the last 4 years online Bulletins. If it is still for sale then the challenge is redundant. If it turns out to be sold, then the second part clicks in. To undertake a Google search to see if it has come back to the sale market. If the likes of Cantick Head Lighthouse buildings, the Jumbo Water Tower, and even buildings such as Marble Arch can effectively be TOTGAs, then why not rise to the challenge and sleuth through some old Unique Property Bulletins to find a TOTGA that has come back for sale, and is perfect for you?